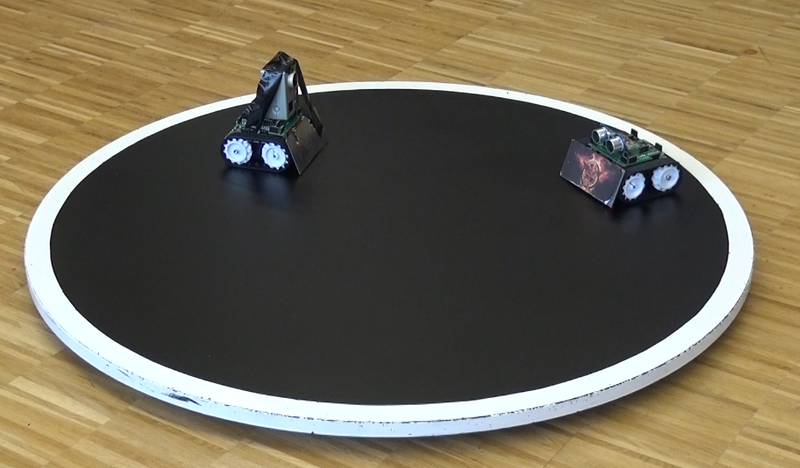 See “Infotronic WS2014 Sumo Robots are Ready!” for all the robot portraits. Sometimes it is better not to move and let the other robot to run into disaster…. Yes, robots can dance too! A GoPro camera robot can change the perspective! The teams and robots did great, and it was a lot of fun! This entry was posted in ARM, Embedded, Freescale and tagged Freescale, KL25Z Freedom Board, software, software project, Sumo, technology, Zumo by Erich Styger. Bookmark the permalink. Thanks for sharing the videos. Theses came out great and the students did a great job. Glad to see with the learning they are having fun. If it is ok I will be showing these to the Jr. High engineering club when they return from Christmas break. The Go-Pro perspective was novel and enlightening. What sensors were allowed on the units besides the Ping? 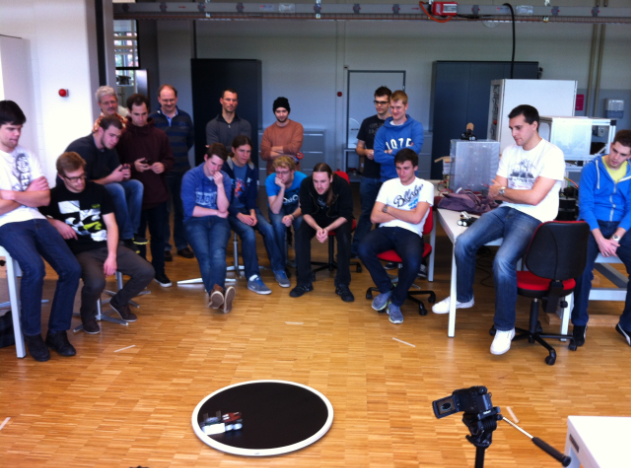 any sensors were allowed, as long the mini Sumo rules were respected (10×10 cm, 500g). The HC-SR04 ultrasonic sensor is a default one we use in the lectures.